I found a letter from Joan Tighe Clayton, a cousin, that contained a story about her grandmother, Margaret Noon Tighe. 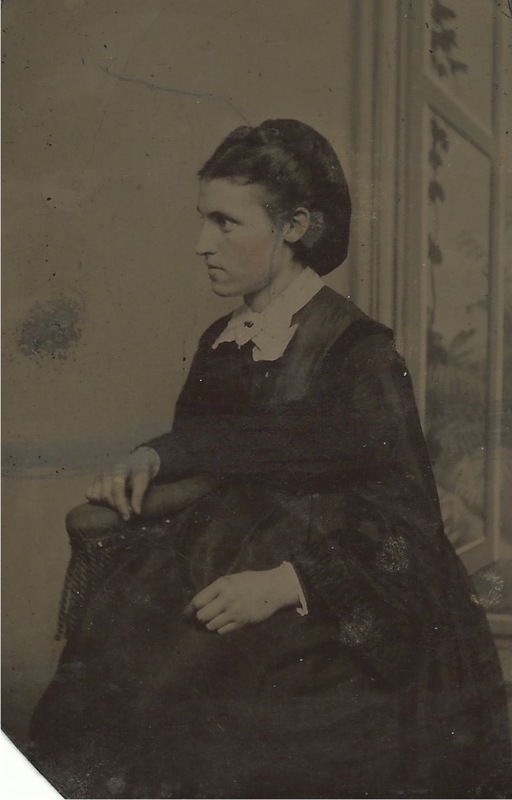 I was able to identify a photo of Joan’s grandmother that was given to my great-grandfather Patrick McTygue about 1870 when he left Rock County Wisconsin to move to Nebraska. My father had the tin-types and didn’t know who they were. I asked if I could take them and try to figure out who they were. I was able to discover who everyone was because I collect family photos and I keep track of all of the families. Margaret Noon was born in May of 1839 and came to America with her parents. Margaret married Michael Tygue 27 Feb 1859 and they were the parents of eight children. About 1905 the family changed the spelling of their surname from Tygue to Tighe. 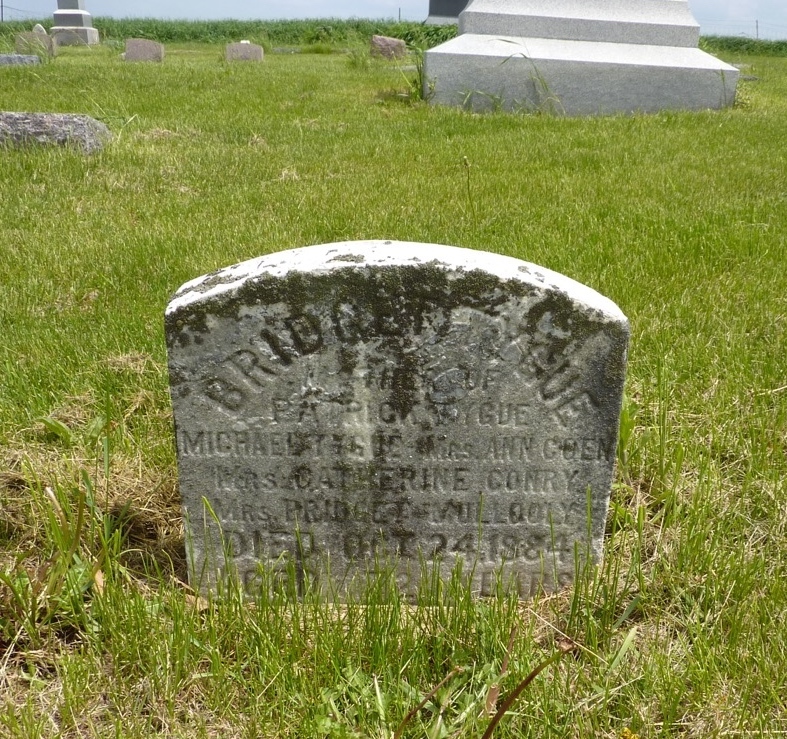 Margaret Tighe died in Clinton, Rock County Wisconsin 24 Sept 1918. I do not know if the Clinton Tighe family had/has a copy of her photo. Patrick McTygue moved from Wisconsin to Nebraska about 1870 and the family must have given him the photos when he left. I found a letter from Joan Tighe Clayton that contained a story about her grandmother, Margaret Noon Tighe. I was able to identify a photo of Joan’s grandmother that was given to my great-grandfather Patrick McTygue about 1870. My father had the tin-types and didn’t know who they were. I asked if I could take them and try to figure out who they were. I was able to discover who everyone was because I collect family photos and I keep track of all of the families. I do not know if the Clinton Tighe family had a copy of her photo. Patrick McTygue moved from Wisconsin to Nebraska about 1870 and the family must have given him the photos when he left.